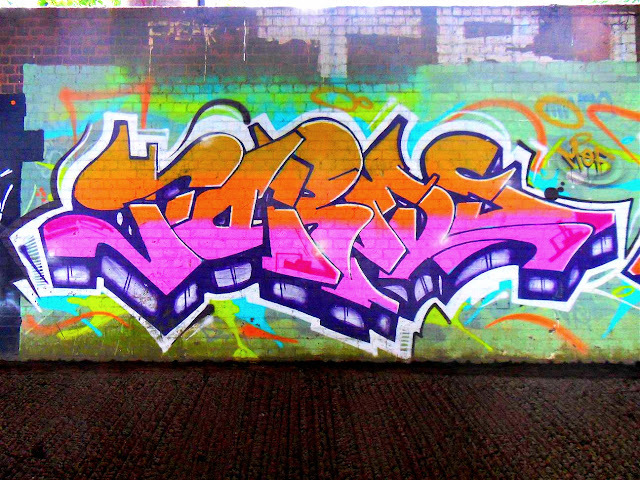 A quick colourful throw. Relms. Terrible sun glare but still managed to get a decent picture. Not a bad little throw. Simple style lettering, but worth posting. 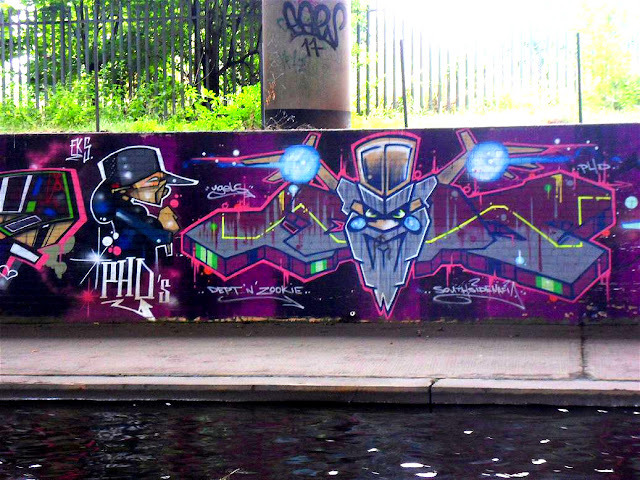 More Graffiti coming soon. Or as its said in Persian, more گرافیتی to come. 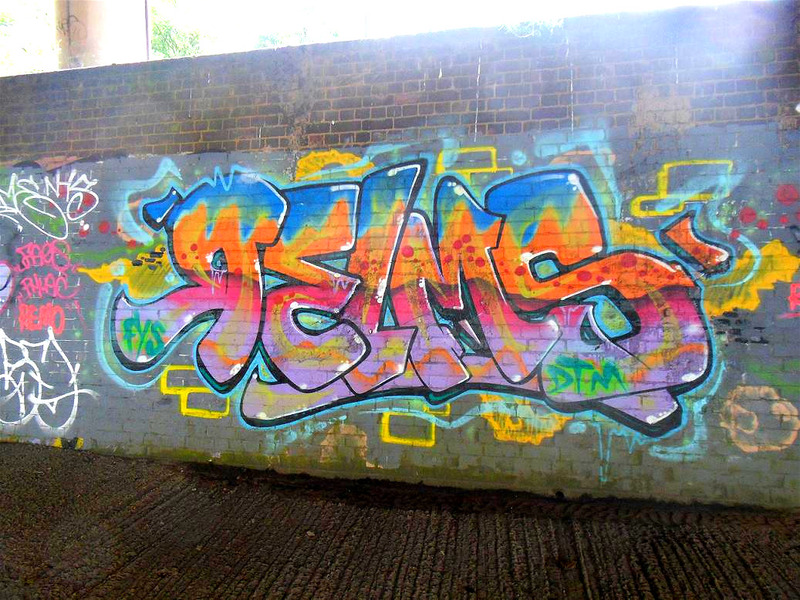 Nice Retro style 2-in-1 piece which reads MEF Vandal. Featuring some nice retro Atari (Arti) style graphics of a shoot em up game. I'm not sure what the game is called but there are a few games like this that were available on the Atari 2600. The artist, and me, are probably showing our ages a bit here! 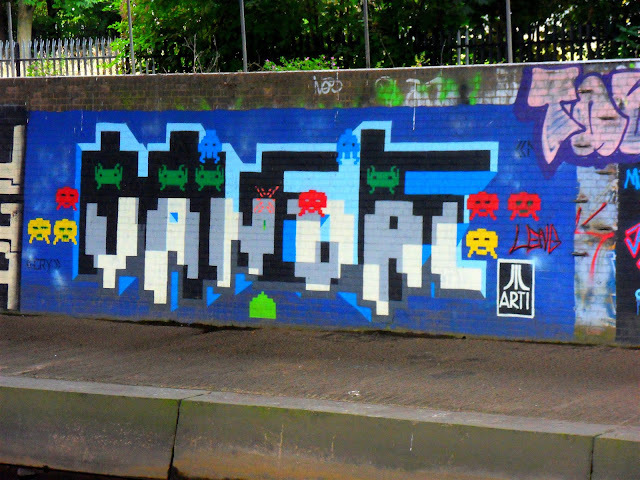 Most of the younger generation probably don't know what an Atari 2600 is! Actually, I was just looking up the old Atari console and found out that they brought out some updated versions called the Atari Flashback. Anyway, a cool piece. The picture doesn't do this piece justice as it was taken at close to full zoom from the opposite side of the canal..